maemo.org - Planet maemo: category "feed:252d36e7b24498212f260fde2b4a4608"
Get the installer here and check it by yourself. Remember to restart your MicroB browser twice and then configure it according to your preferences by clicking here or manually loading chrome://useragentswitcher/content/config.html. Click here to install Flashblock for MicroB. Remember to restart your MicroB browser twice! 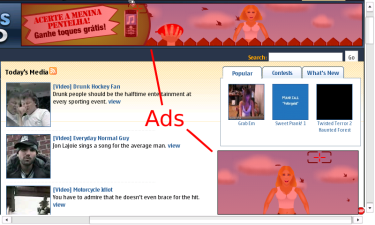 One of the most popular Firefox add-ons, Adblock Plus, is a content-filtering extension for Firefox that prevents nearly 99% of web advertisements and banners from being downloaded and subsequently displayed. Now it is available for MicroB! Install the ABP (Adblock Plus) package by clicking here. Remember to restart your browser. You might see a red button in the bottom-right corner. It is a shortcut to the ABP preferences window. When you tap it, it suggests that you define a set of filters to effectively use ad blocking. You can select filters from the following list filter subscriptions. Note that you should not enable more subscriptions than you really need as this increases the possibility of blocking legitimate content and might slow down your browsing experience. If you get in trouble see the Notes section at the end of this post. Open the page or a page from the domain you wish to whitelist. 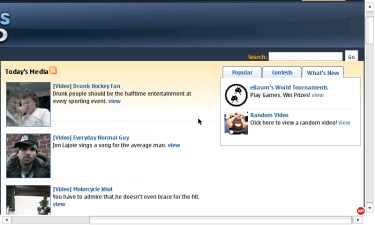 Click the ABP button to open the preferences pop up window. 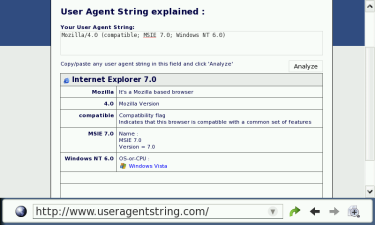 Check "Disable on this page only" or "Disable on (the current domain)". 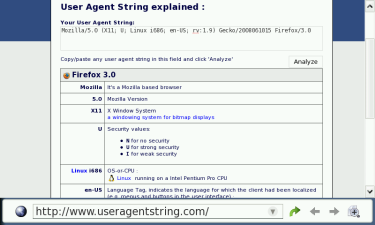 Block image: is provided in Firefox by extending the context sensitive menu (CSM) and the MicroB CSM cannot be changed. Show tabs on Flash and Java applets: this uses XBL to add the tab around those objects and interact with the ABP preferences. 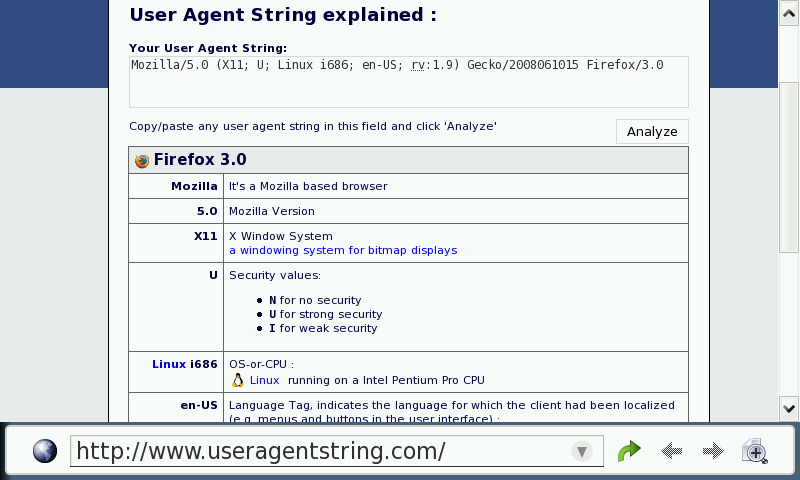 ABP provides some preferences you can set in Firefox but not in MicroB, most of them are dependent on XUL or XBL, a full listing of these preferences is available. The most important options available are in the ABP preferences pop up. The extensions.adblockplus.showinstatusbar preference controls whether the ABP button is visible in the bottom-right corner of web pages. 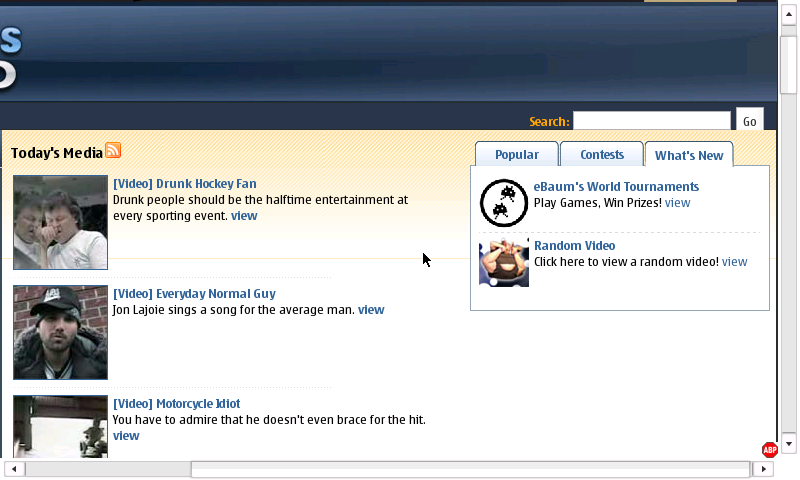 ABP button tries to open a pop up window, you must allow your browser to open it. 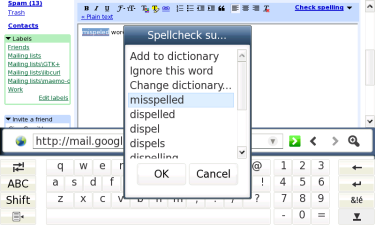 Hunspell is an open source spell checker engine and has been added to Firefox 3 development code replacing previous MySpell engine that currently ships Firefox 2.x. It provides advantages including support for Asian languages, Unicode support, morphological analysis and support for complex compounds and Agglutinative languages including Basque, Estonian and Finnish. 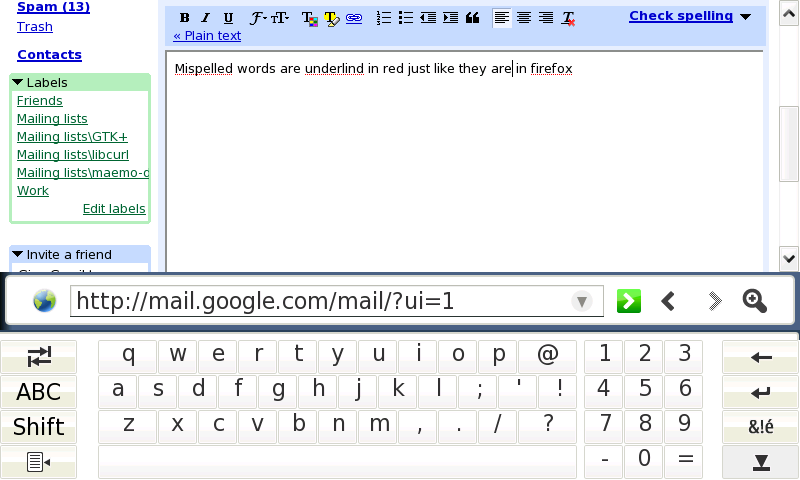 Misspelled words are underlined in red just like they are in Firefox. Double tapping on a misspelled word provides a list of suggested corrections. In addition, user can ignore the current word or add it to the dictionary. 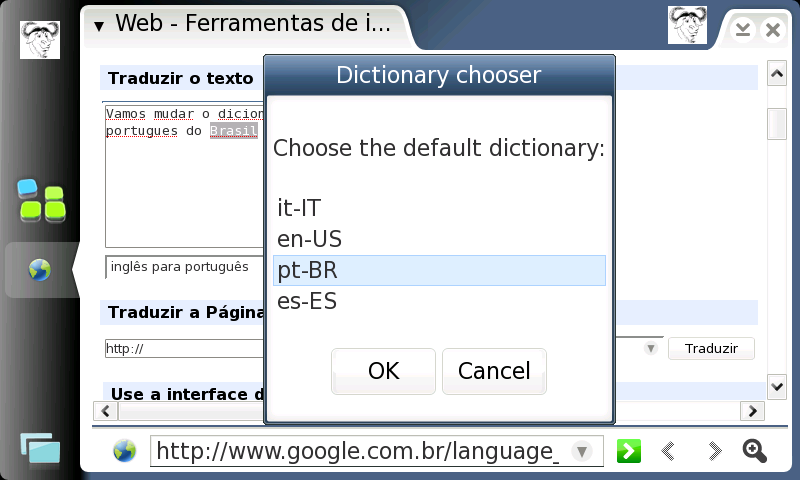 User can also choose the dictionary to be used by the spell checker. If you have any problems with creating your own dictionary package or issues in general, contact our development mailing list. 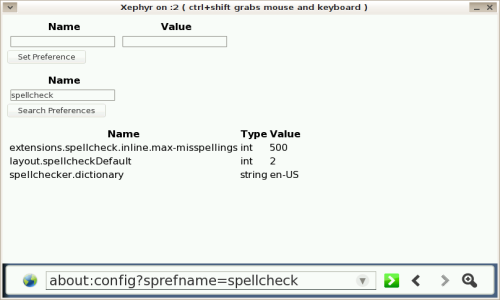 layout.spellcheckDefault controls whether spell check function is enabled for multi-line and/or single-line edit controls (more info). 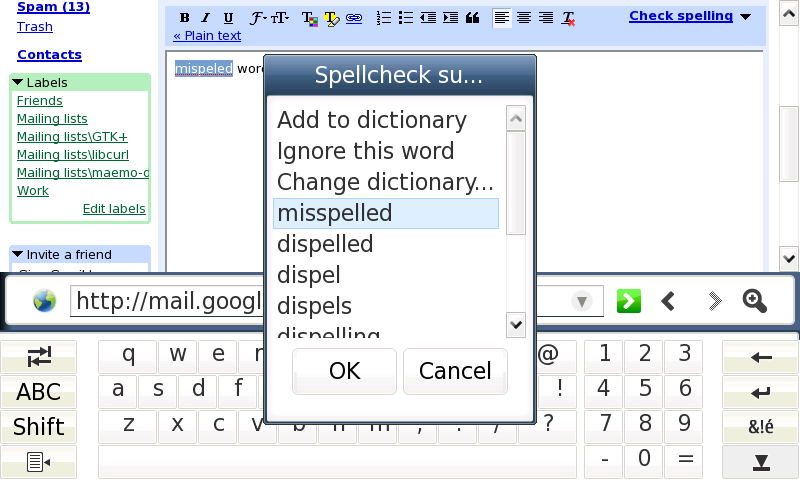 spellchecker.dictionary: selects the spell checker's current language or locale (e.g., en-US, fi, ru, or pt-BR) (more info). 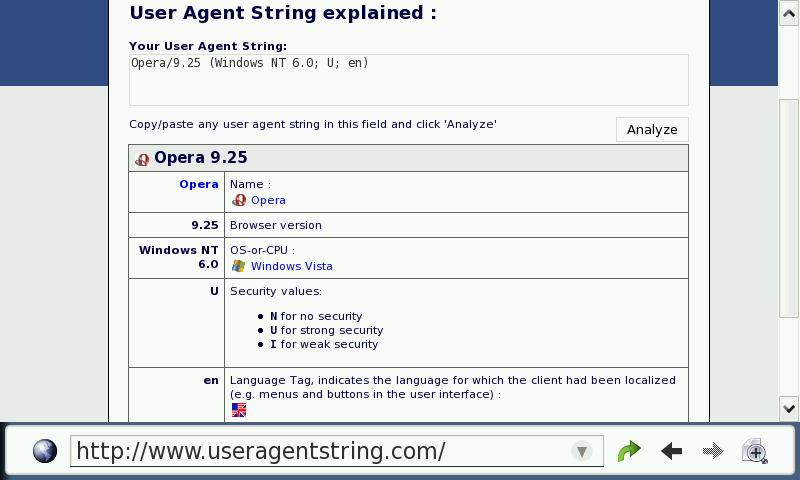 The preferences above can be found in the MicroB about:config page. I have just uploaded two True Type Font packages: Arabic and Chinese, with Arabic and Chinese character sets respectively. To install one, click it and select open. Application manager should open. If you don't have the Browser Extras repository installed, it will ask for your confirmation to add it. If your repositories are all in working order, it should then ask to install the font package you've selected. After installing, the font may not work immediately. In this case, reboot your device and try again. The latest version of packages will also be available on the downloads page. Since the MicroB beta was released, people have expressed excitement about the web sites which are now accessible because of the Mozilla engine. Although MicroB is not yet ready for its official release, I feel it is mature enough for users to use. 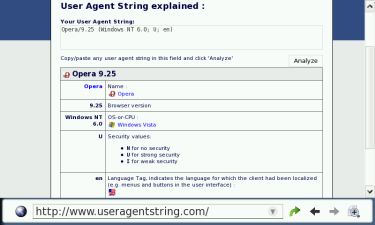 Not simply use, but take advantage of the power of a real desktop browser on a small device. 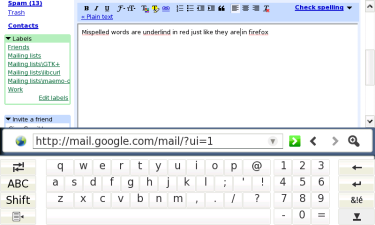 I have been thinking of ways to improve the browsing experience on the N800. So I started packaging, developing, and porting components to enhance the MicroB browsing experience, including fonts that support other character sets. There will be more detailed posts when I have news about available add-ons.